First engagement with Rightpoint to re-platform their website from a CMS system that lacked flexibility and efficiency for content authors onto Sitecore with minimal design optimizations. A global luxury travel company offering adventure and luxury vacations in the world's greatest destinations since 1962. Our goal was to re-platform A&K's website onto Sitecore creating a more flexible and efficient process for content authors. With minimal design optimizations we needed to simplify the experience, make it easier to use for both first time & returning visitors while modernizing the overall appearance. Creating a simple, elegant and modern design system that accommodated existing content and imagery allowed us to impact the entire site & brand experience seamlessly. Consistency, strong visual hierarchy and a minimal aesthetic help make content easy to digest and allow users to focus. 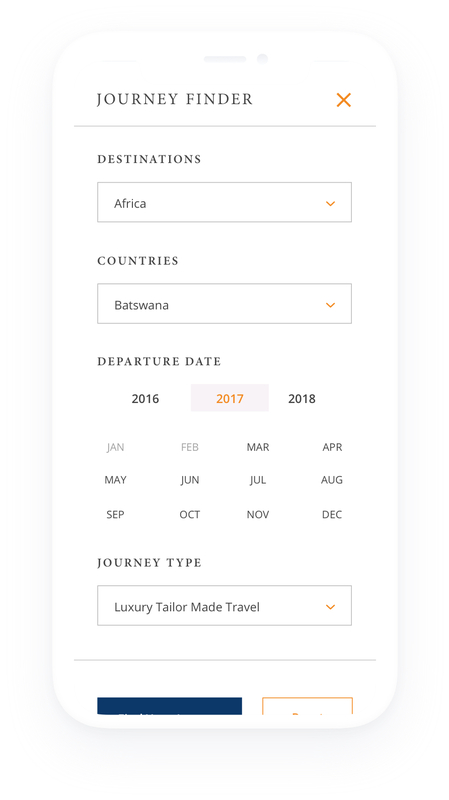 In addition to employing accessibility best practices & optimizing the navigation, we introduced the Journey Finder - a new quick way for users to do initial travel research before calling A&K. More video integration brings the luxury travel experience right to you even before embarking on a trip. We delight & surprise with new beautiful A&K photography at each visit. The work surpassed expectations. As a result A&K continued engaging us for multiple additional projects. All contents Copyright © 2018 Sona Allen and respective brands.